Days go on and days end, I'm ignorant, you're ignorant, we all are. But does that mean anything? Some would say no, while others would think so. 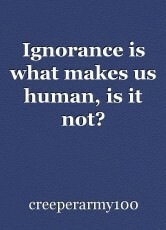 Either way, we are and always will be ignorant, despite how hard we try not. Don't let this make you feel down, as ignorance is the thing that makes you human. Your smart and maybe even kind. You are the most successful species ever. Use your gift of success and ignorance to do something great. 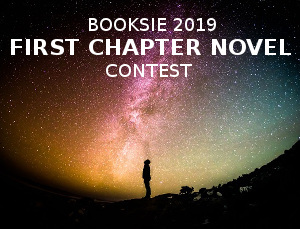 help save this planet or become an author, even if you think you can't. Do what you believe in so we can continue our ignorance and to keep thriving so one day, if we ever leave this planet, we can let another species take our place and continue the cycle. The cycle of evolution that allows ignorance. © Copyright 2019 creeperarmy100. All rights reserved. I don't even know what the point of this was, lol.